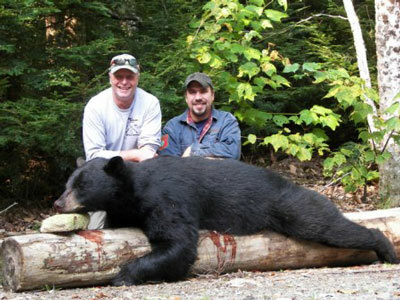 Come hunt the Maine Black Bear over active baits. 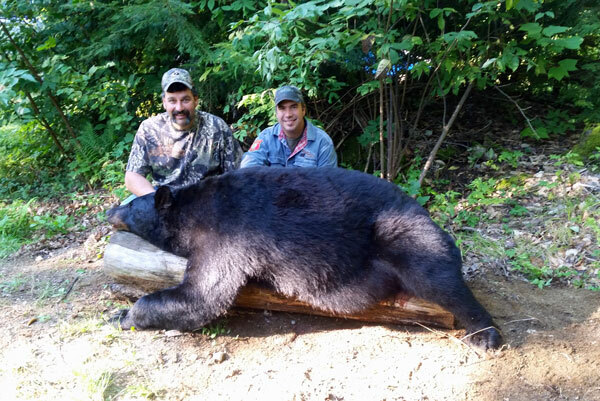 Experience one of the most exciting hunts you'll ever go on. Our hunts are six days, seven nights. 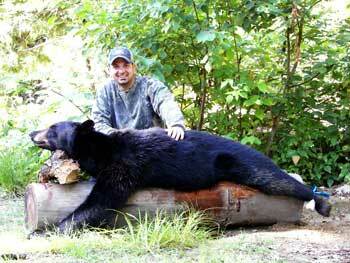 The price includes all transportation to and from your stand, 3 meals a day, lodging, free use of boats/canoes, your Guide, and care of the hide. Our waterfront log cabins and home cooked meals will give you a very homey and comfortable feeling while you are on vacation. Bring your family, there is plenty for them to do as well. This time of year is beautiful and the fish are always biting. 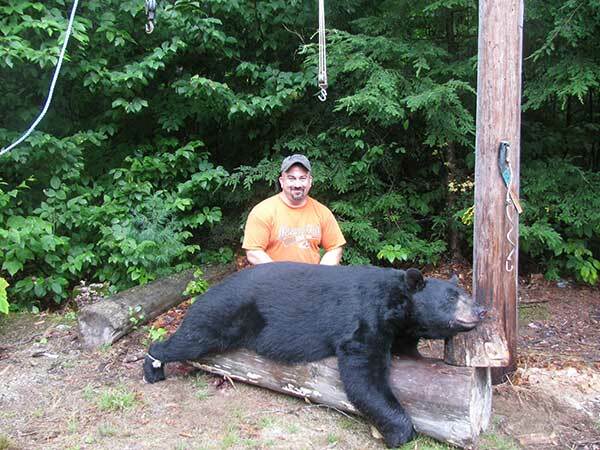 Your hunt begins mid afternoon and ends after dark. The motor boats will be gassed up and ready for your use during the non-hunting hours. We have some very big smallmouth bass on the pond so make sure you bring your fishing gear. No extra charge! Whether you choose to hunt with a bow, rifle or handgun, we will provide you with a stand set up especially for your choice of weapon. 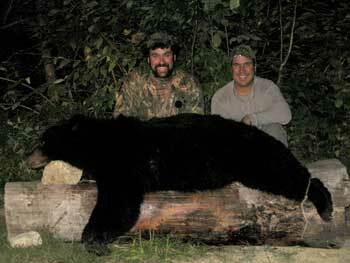 Our hunts are exclusively limited to twelve hunters per season. 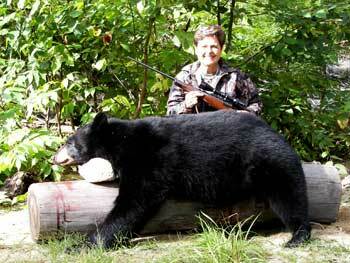 to see more black bears taken by our hunters!